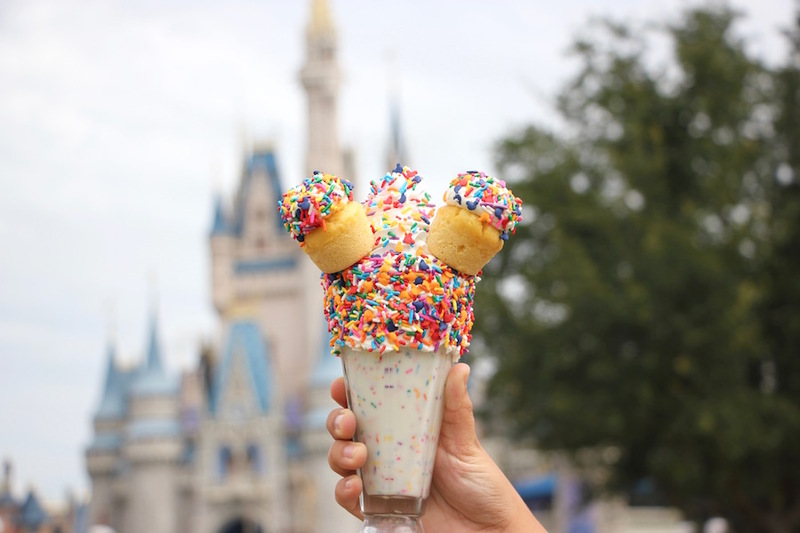 Over at Magic Kingdom Park, you can head to The Plaza Restaurant to enjoy the Birthday Cake Milkshake of the Month. It is a confetti vanilla milkshake in a sprinkle-rimmed glass topped with whipped cream, more sprinkles, and two mini birthday cake cupcakes. The Plaza Ice Cream Parlor is also featuring Chocolate Chip as the Ice Cream of the Month for September. Coming up in October, the Ice Cream of the Month will be Pumpkin! Over at Prince Eric’s Village Market you will find the Mermaid Doughnut, a yeast doughnut topped with purple icing, sprinkles, and white chocolate treasures. 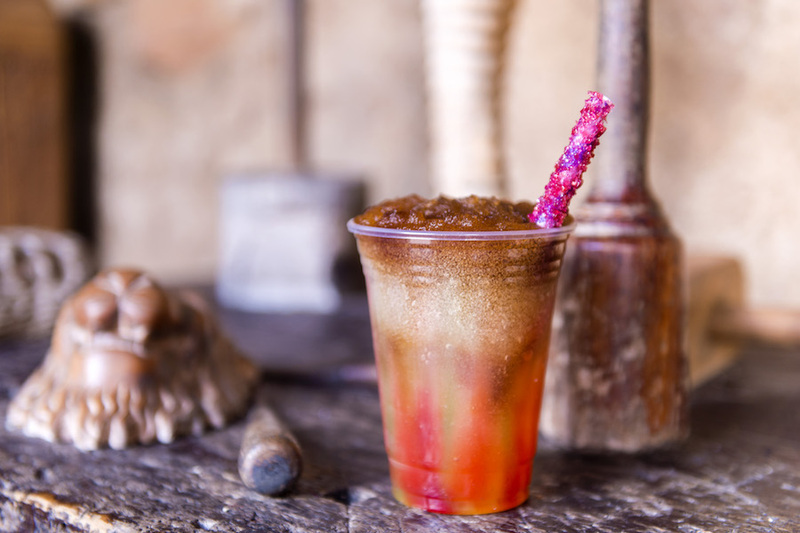 You also have to check out the Witch’s Frozen Brew, which is a slushy that includes frozen lemonade and frozen Coca-Cola swirled together with Monin cherry, Granny Smith apple, watermelon, and red passion fruit. 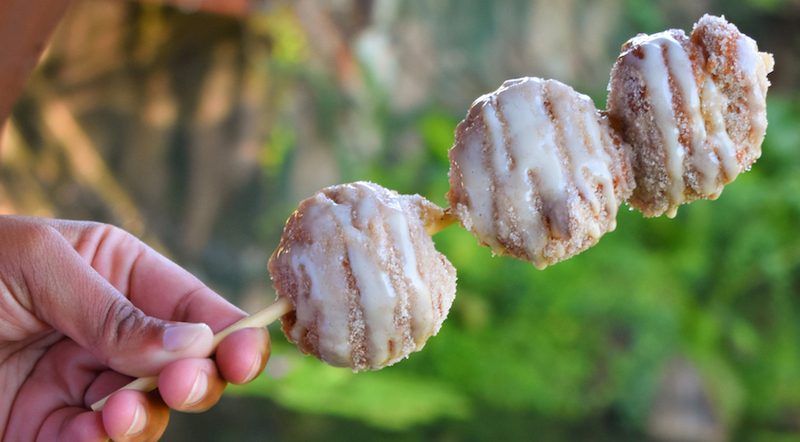 Over at Disney’s Animal Kingdom at Isle of Java, the Apple Cider Donut Holes are amazing! They are drizzled with icing and covered in cinnamon sugar. Don’t forget to also check out Disney’s BoardWalk. The BoardWalk Bakery has a Mermaid Cupcake. 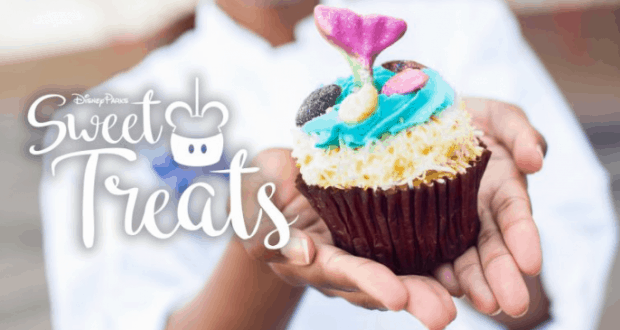 This cupcake is filled with coconut cream mousse and topped with whipped cream, toasted coconut, a white chocolate mermaid tale, fondant shells, and crispy pearls. The mermaid fun continues over at Intermission Food Court in Disney’s All-Star Music Resort where you will find an Ariel Cupcake. It is a vanilla cupcake topped with buttercream and filled with white crispy pearls. This one is for sure only available through the end of September, so you will want to get it while you can. There will be a Maleficent Cupcake that will be offered during all of October. It is a chocolate cupcake that is filled with spiced chocolate and topped with vanilla buttercream and chocolate horns. 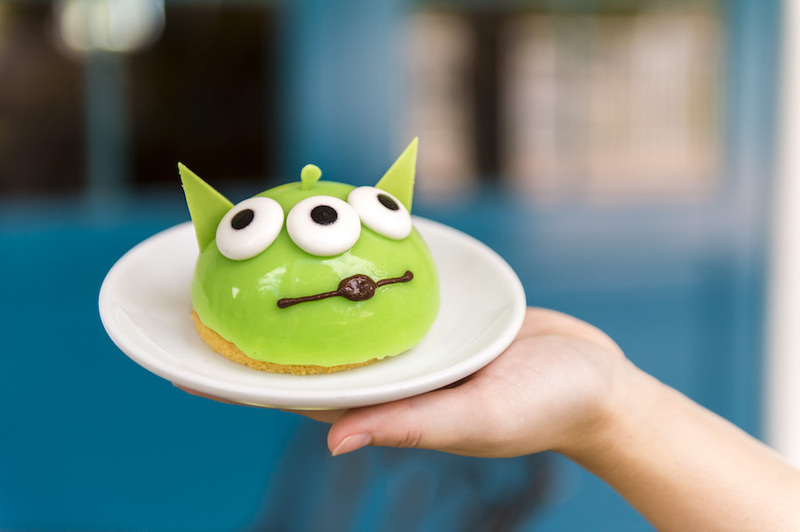 The Artist’s Palette at Disney’s Saratoga Springs Resort & Spa has the Chosen One Dessert, which features green apple mousse with a caramel center. 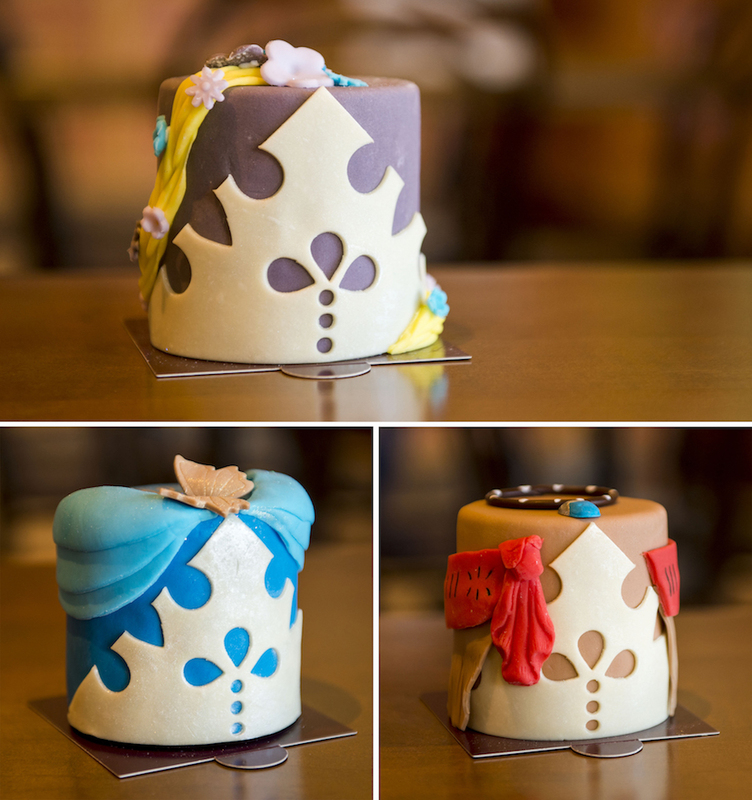 Amorette’s Patisserie is offering amazing princess cakes! There will be special limited-time Princess Cakes featuring Rapunzel (available Sept 27-30), Moana (available Oct 4-7), and Cinderella (available Oct 11-14). Epcot’s Kringla Bakeri Og Kafe has finally re-opened, which means that we get School Bread from the location again! You can also check out a variety of other awesome sweet treats there, too! Did you know that “Kringla” actually means “pretzel” in Norwegian? The pretzels are hand-made and coated in cinnamon sugar! Which of these sweet treats would you most like to try?